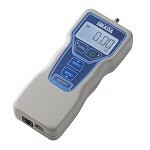 Quality Digital Force Gauges | IMADA CO.,LTD. IMADA Digital Force Gauge Has Many Advantages for Your Force Measurements. Digital force gauges feature easiness for data managements and analyses, preventing from reading errors etc. The advantages of IMADA digital force gauges are the high accuracy and the high operability. The many equipped functions (Peak hold, Data memory, etc.) offer high operability for your force measurements. Moreover, the high accuracy becomes more trustful when calibrated ISO/IEC17025 (as your request). When using with an optional software, graph drawing is possible. You can analyze the force measurement results in detail. 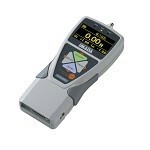 This digital force gauge has a high visible display and many useful functions. The accuracy +/- 0.2%F.S. and the high speed sampling rate 2000 Hz provide accurate results. The capacity is from 2N (200gf) to 1000N (100kgf). It is the advanced model digital force gauge of ZTS series. It equips additional functions such as Displacement I/O and Direct data output for a USB flash drive, maintaining the high operability, the accuracy and the sampling rate of ZTS. 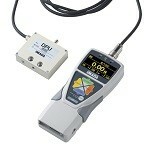 This digital force gauge offers an excellent cost-performance. OK judgement function, reversible display and more functions equipped for great usability. Capacity available from 2N (200gf) to 1000N (100kgf). In addition to great usability of DST series, this advanced model digital force gauge is equipped with more functions (tilt-sensing, internal memory and continuous peak) for efficient and reliabile hand-held use. Capacity available from 2N (200gf) to 1000N (100kgf). 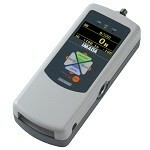 This digital force gauge can be used for high capcity force measurements. The capacity is from 2500N (250kgf) to 5000N (500kgf). Both ZTS/ZTA series are available. This digital force gauge has a separated external sensor. Ideal for testing at a difficult place reaching or mounting a regular-type force gauge. The accuracy and the capacity depend on the sensor. Both ZTS/ZTA series are available. It enables to be performed various force measurements by sensor interchange without an adjustment. The functions are same as ZTA series. The accuracy and the capacity depend on the sensor.